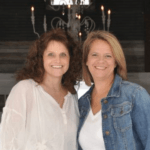 Welcome to Bungalow 47 Color of the Week! 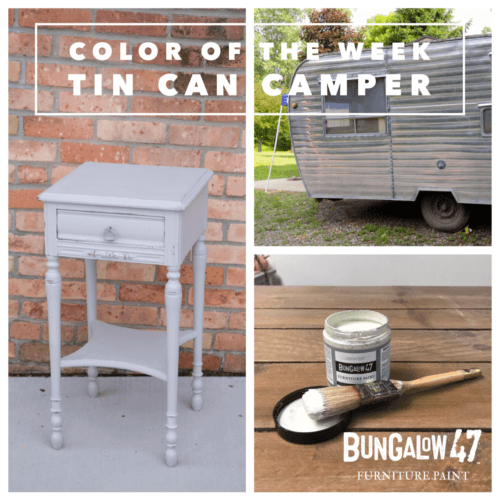 This week we are featuring the color Tin Can Camper in the Bungalow 47 Furniture Paint line, which is an American-made chalk and clay paint. Tin Can Camper is a soft pale gray color. 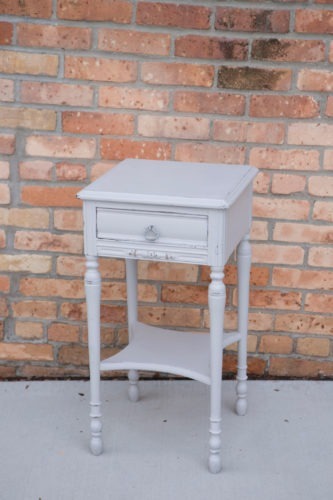 It is perfect for the French or Shabby Chic type styles, as it has a slight femininity to it. 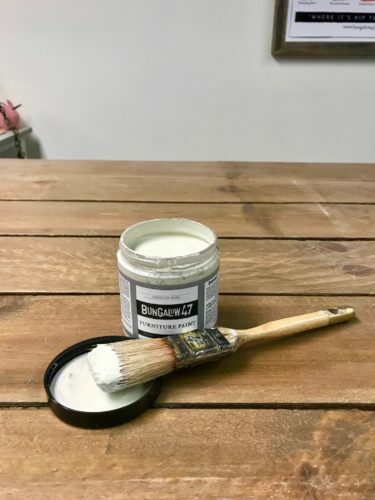 It looks great when lightly distressed to reveal a bit of a time worn look or heavily distressed so you can really see the wood tones underneath. 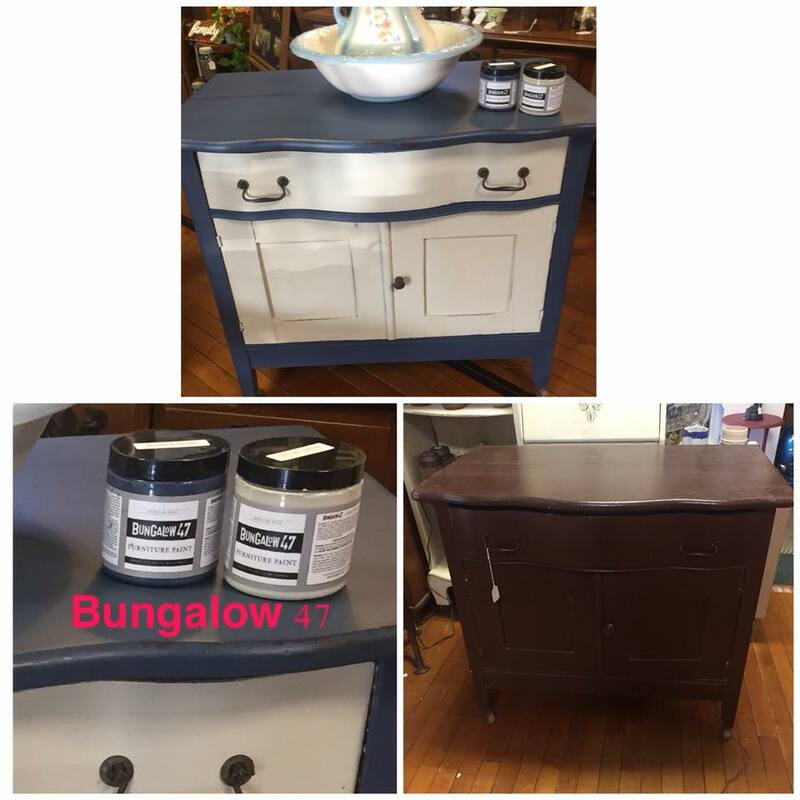 Here are a few pictures of furniture our retailers have painted using Tin Can Camper. 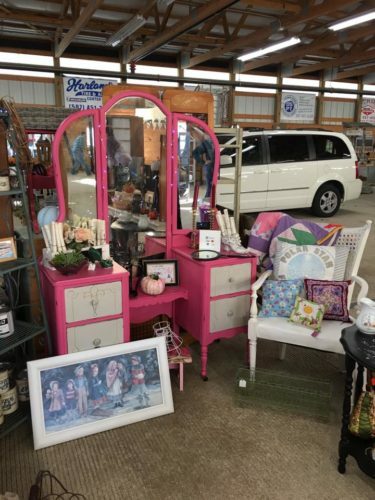 In one picture it is paired with Nautical Stripe, and the other shows it bold and fun paired with Funky Fringe. Have you tried Tin Can Camper yet?